PHOENIX — Unfortunately for the NFL, a photograph reinforced that it lacks diversity in coaching. 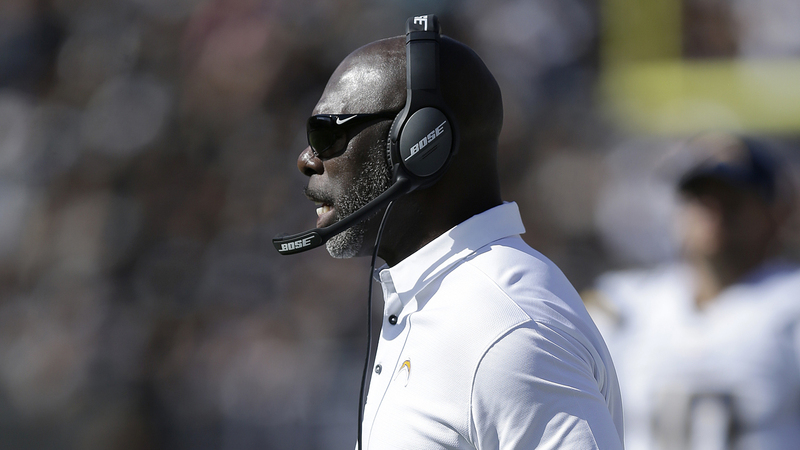 Although Pittsburgh Steelers coach Mike Tomlin, who is black, was among those absent as head coaches posed for a shot during the owners meetings, the fact is there are only three other minorities in those roles: Brian Flores, Miami Dolphins; Anthony Lynn, Los Angeles Chargers; and Ron Rivera, Carolina Panthers. That’s a total of four head coaches in a league that has 32 teams. During the hiring cycle that was completed in early February, Flores was the only minority candidate to join the group in an offseason that had eight openings. And don’t even get us started on the front office. The NFL, which is proudly promoting that 2019 will mark its 100th season, has never had a black team president. 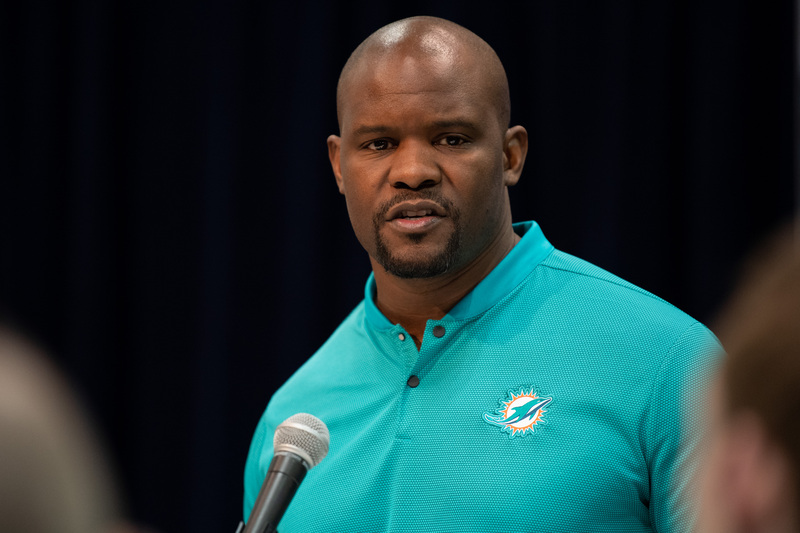 Chris Grier of the Miami Dolphins is the NFL’s lone African-American general manager. Top NFL decision-makers continually insist that they’re committed to improving the abysmal numbers in coaching. But the numbers are trending in the wrong direction. At the start of the 2018 season, the NFL had eight head coaches of color, matching 2011 and 2017 as the most in any season, including seven African-Americans. The Undefeated asked the NFL’s minority head coaches to assess the state of diversity in their ranks. Not surprisingly, they all acknowledged that the league has plenty of heavy lifting to do if it hopes to make significant progress at the highest level of coaching. 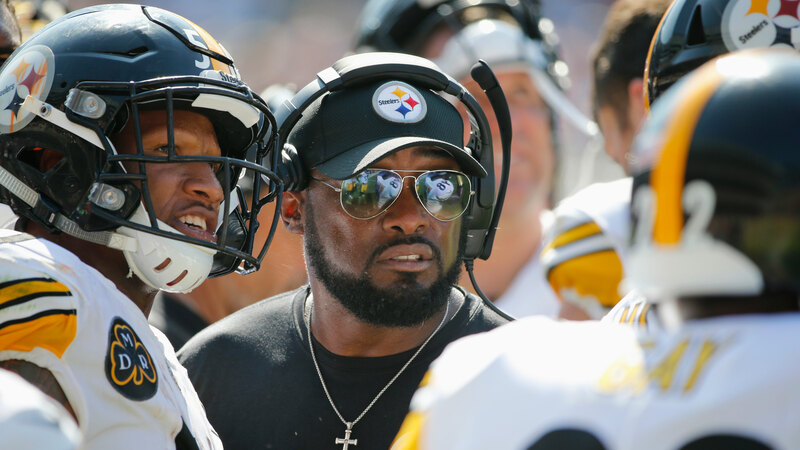 Mike Tomlin is the face of the Pittsburgh Steelers — and also of African-American coaches in the NFL. I think the number speaks for itself in that regard. It was a disappointing hiring cycle for someone who watches it like I do, knowing some of the deserving men that I thought should have gotten an opportunity who didn’t. But we’ll continue to work and fight for equality and opportunity. It’s a grassroots operation. It’s how young coaches are cultivated. I was having a discussion with someone a few weeks back, telling them that in the mid-’90s I was a young offensive coach. And I received advice, sound advice, that I had a better chance of ascending on the defensive side of the ball. So I became a defensive coach. If offensive coaches are en vogue this hiring cycle, and guys in my age group, particularly those of color, have been advised in that way then, obviously, there might be [fewer minorities in the pipeline on offense] right now. Just the overall development of sharp young coaches, at all levels, and making an investment in them, that is what’s important. It’s always been a struggle. And, brother, it’s probably always going to be a struggle. We just have to keep bringing it to everyone’s attention. I know when I was coming [up the coaching ladder], I had a couple of owners tell me I had to check this box. They said I needed to be a coordinator. They said I needed to be evaluated as a coordinator. And I just felt like coordinator skills and head-coaching skills are completely different. I think we’re missing the boat in putting that criteria in front of everyone. And then you see guys getting jobs who haven’t been coordinators. Guys with coordinator titles who have never called a play. Make it consistent for everyone — not just some people. I just want guys who are qualified to get the opportunities. 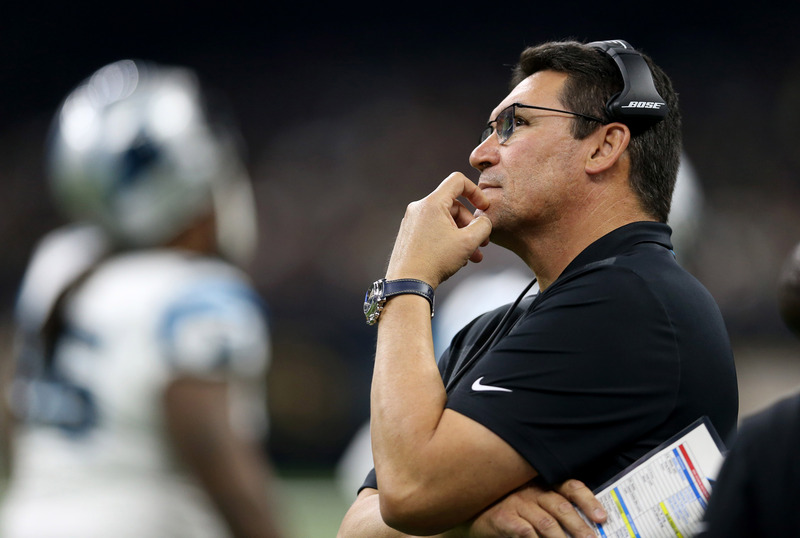 Ron Rivera has compiled a 71-56 record in eight seasons as Carolina Panthers head coach. This really was kind of an odd year and disappointing. But at the same time, I do see the need to make sure that we are getting guys in the pipeline, putting guys in position [to be interviewed]. We have to look at this and figure out better practices, in terms of developing more guys who are ready. We as head coaches, for that matter, have to be cognizant of that too. We have to make sure we are training and putting guys in position that they can advance. I think that’s important. Whatever we can do as head coaches, we need to do. Miami Dolphins head coach Brian Flores answers questions during the NFL scouting combine on Feb. 27 at the Indiana Convention Center in Indianapolis. I’ve said this many times: I think there are a lot of quality minority coaches in this league who could be head coaches in this league. They have the temperament, the leadership ability. I was fortunate to get an opportunity to interview at four places. I was very fortunate that way. There are many, many minority coaches who, if given the opportunity, would excel in the interview process. That’s what it amounts to. It’s just the opportunity. Do I feel that I have to champion the cause? Not necessarily. But I know I’m an example for minority coaches in this league.